ObamaCare: The Emperor Has No Clue. Read More "ObamaCare: The Emperor Has No Clue"
Op/Ed: The first time a patient asked me how I was « Concierge Medicine Today. Read More "Op/Ed: The first time a patient asked me how I was « Concierge Medicine Today"
Good doctors are those who genuinely care about patients. Read More "Good doctors are those who genuinely care about patients"
Read More "State rejection of 5 companies’ health plans draws criticism | Local News | The Seattle Times"
EDUCATION: What Is Concierge Medicine? 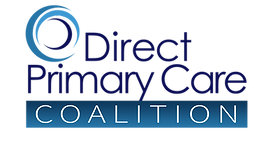 | What Is Direct Primary Care? « Concierge Medicine Today. Read More "EDUCATION: What Is Concierge Medicine? | What Is Direct Primary Care? « Concierge Medicine Today"
Read More "ObamaCare’s Costs Are Set To Soar As Administration Encourages Companies To Drop Health Benefits | Galen Institute"
Read More "The Government’s Way or the People’s Way? A Clear Choice"
How Much Should You Pay for Medical Care? How Much Should You Pay for Medical Care?. Read More "How Much Should You Pay for Medical Care?"